The Sunset Station Singers is a Veteran and Community based choir which was formed out of the now disbanded Veteran Soul Community Singers. 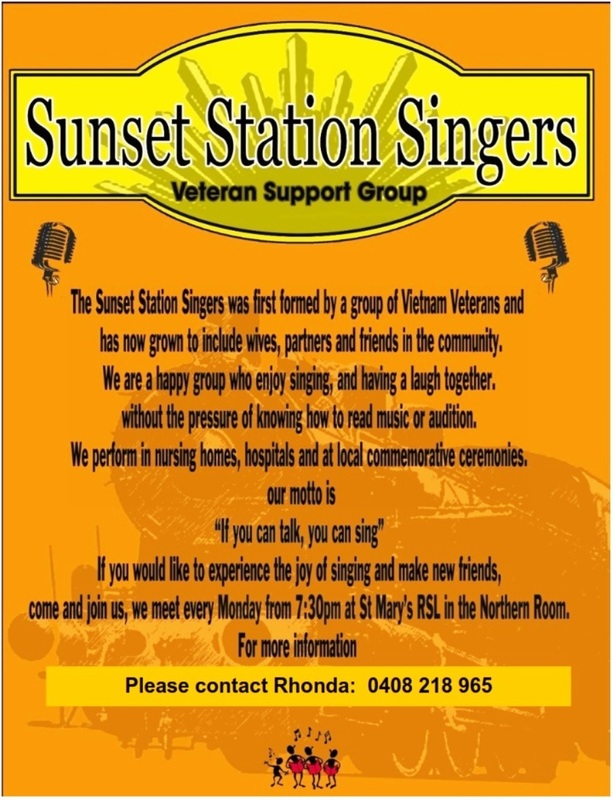 The new choir is based at the St Marys Outpost and comes under the sponsorship of this sub-branch of the VVAA. 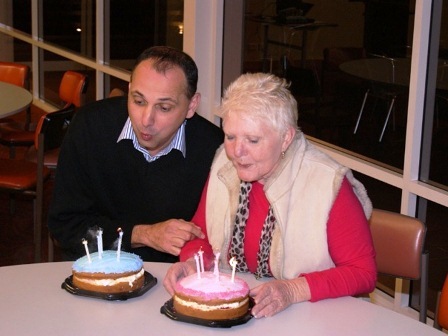 Its purpose is to not only promote good will between the Veteran Community and the local community, but to also allow members of the Veteran Network from all areas to enjoy music and singing as a form of therapy. The choir is of course a Not For Profit Organisation, but does involve it’s self in fund raising issues where all profits are directed toward charities that are children based. 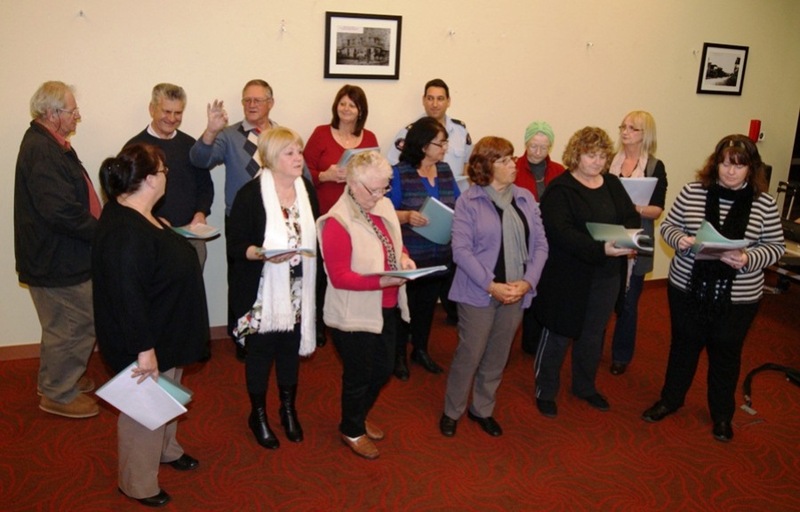 The choir meets every Monday Evening at 1830 hrs (6.30pm for our civilian friends) at the St Marys RSL Club Northern Room, practices conclude at approximately 2130 hrs (9.30pm). Sunset Singers regularly perform at the Vietnam Veteran Day Ceremony at St Marys and has in the past also performed at other Vietnam Celebrations. We are also regular performers at the Hunts Motel Christmas Party for the Less Privileged which Mr Harry Hunt so generously provides each year at his Cross Roads Casula located motel. This year over 250 families where fed and entertained by the choir at this event, as well as being visited by Santa to ensure each family had something to smile about on Christmas Day. New members for the choir are more than welcome. A charge of $10.00 per person or $15.00 per double is charged to cover the costs of tuition as well as providing of supper and all singing requirements (Music Sheets and CD’s where required. 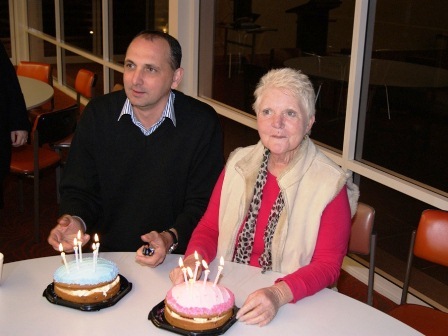 However they did manage to take a bit of time out to celebrate the birthdays of two members. Choir Leader Mark Bowden and Gloria Floyd. Please use the controls to access a video of the Sunset Singers performing "Sailor" and "Leaving on a Jet 'Plane" recorded at the Vietnam Veterans' Day commemoration 18 August 2011.